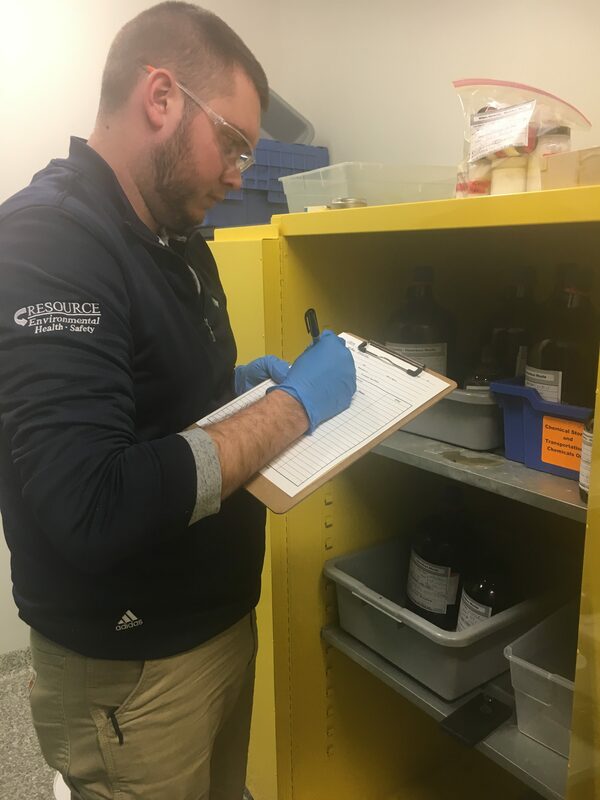 A “lab pack” is just cryptic terminology for a container, usually a 55-gallon fiber or steel drum, that is filled with assorted small quantity canisters of compatible laboratory chemicals, segregated into groups such as oxidizers, acids, and flammables. The containers are typically packed in vermiculite or another suitable absorbent, labeled and prepared for shipping. The wastes are then consolidated even further and shipped for the best possible disposal action. This includes incineration, recycling, landfill, treatment, fuels blending, and neutralization or stabilization. All RESOURCE field technicians are fully trained and certified and have the knowledge and experience to complete projects in a safe and cost effective manner. This service is a time saving and cost-effective option for disposal of unneeded, out-of-date or unknown chemicals. RESOURCE will protect your company from costly and dangerous hazardous waste and lab handling mistakes. It’s important to remember that the process of lab packing has very explicit rules and exceptions and should be performed only by informed and experienced individuals. Providing you with expert information is just one of the ways Resource Environmental Management may help you. We can provide you with lab packs, disposal, as well as help you better understand all the options you have. Call us today at 877-747-6699.